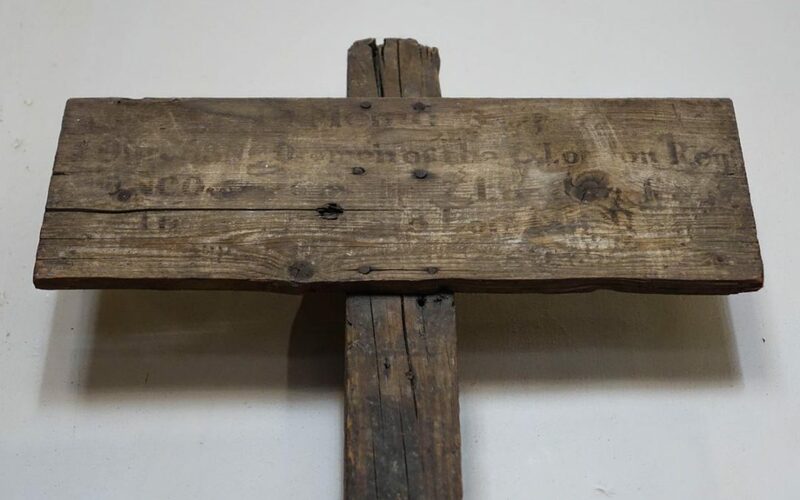 Details on Cross: Almost unreadable, but see nearby details on plaque below. Cross dimensions Unable to verify. Mounting to wall: Screwed onto wall. 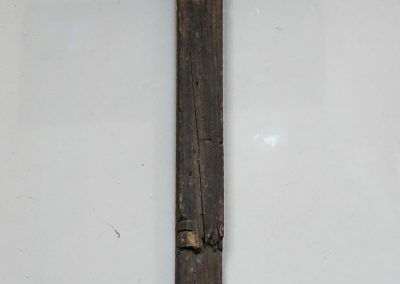 Evidence of use in field: Shaft worn at bottom. Finish: Unpainted. 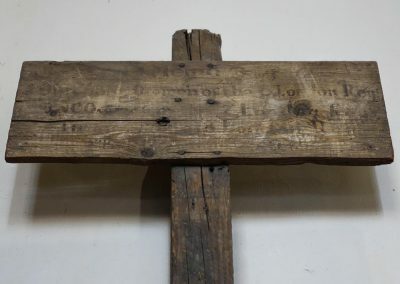 Some sort of varnish appears to have been used. Condition: Generally good. Some wear and tear particularly to sign. 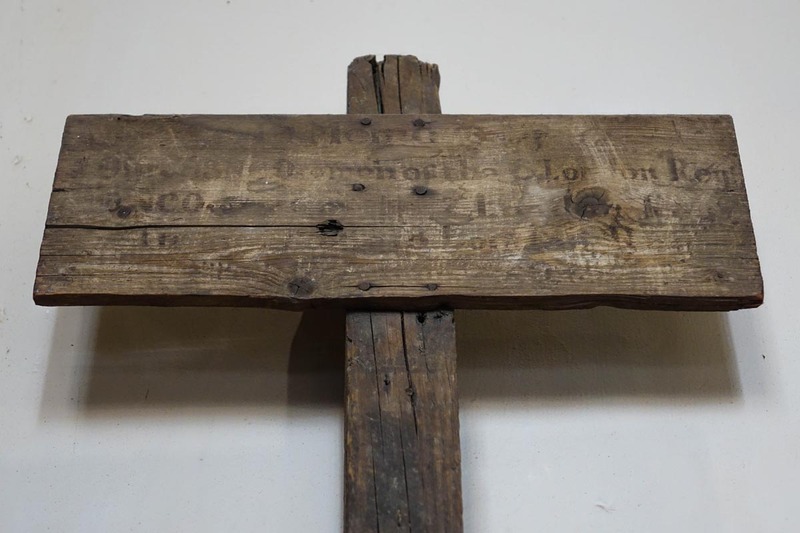 Other information: This is not a cross to a particular individual. 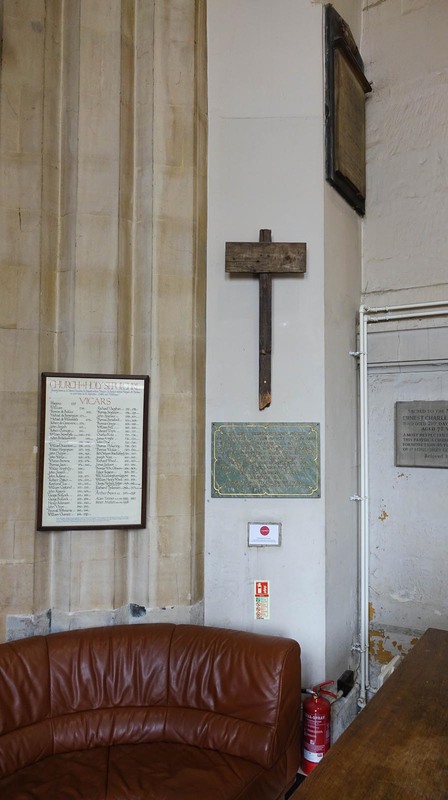 A plaque under it reads, “This cross commemorates nearly 100 offices and men of the 6th Battalion London Regiment who fell in action at the Battle of Loos on September 25 1915 and were buried on the field on the night of September 28. 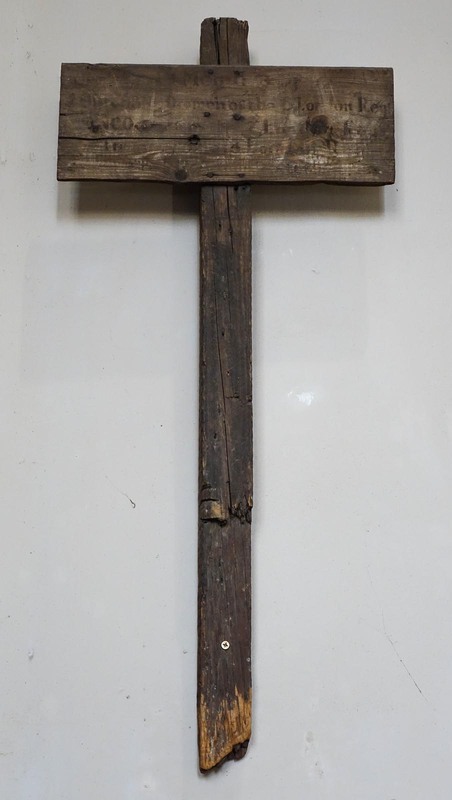 It stood upon the battlefield for over three years and was replaced by a more permanent cross in February 1919. 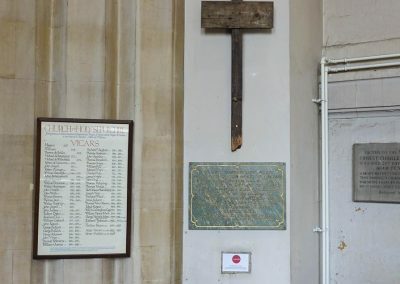 Their bodies are buried in peace but their name liveth for evermore.” South aisle of the church contains the Regimental Chapel for The Royal Fusiliers (City Of London Regiment) and it contains a number of standards and memorials.